John Scalzi has changed the template of his book yet again. “The Last Colony” is now a book that deals with struggle and survival. John and Jane are leaders of a colony that is left to fend for itself. The colony ‘Roanoake’ is now a strategic piece in the politics being played out between the Conclave and the Colonial Union. There is action in this book, but it is much lesser than the earlier one. Most of the book concerns the survival of the colonists both on the planet and as a pawn in a much greater conflict. This book has shades of the initial part of ‘Battlefield Earth’ with the colonists being forced to innovate to avoid detection by the Conclave. I really wish that John Scalzi had not expurgated the chapters dealing with the Conclave. I found the novella ‘The Secret History of the Last Colony’ to add a lot of color and backstory to this book. I would have loved to see Scalzi’s original vision of having multiple viewpoints since that would have given us the alien perspective that was missing till now. Next, we come to the writing. John Scalzi’s writing is still good. John Perry’s snark has come down a lot. I am saddened. The character development in ‘The Last Colony’ is quite average. John and Jane are pretty much John and Jane. 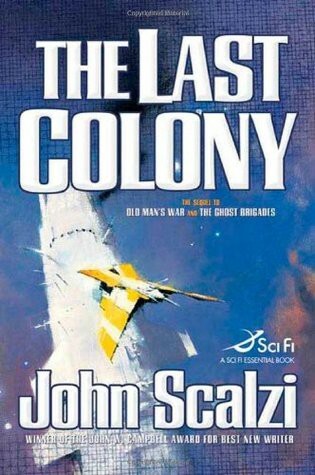 I liked ‘The Last Colony’, but it was quite average.